On 5th September 2014 the final theatre where Samuel Beckett worked will close its doors to undergo a major three year redevelopment process. It was 30 years ago that the Riverside Studios, an arts centre in Hammersmith, offered Beckett and the San Quentin Drama Workshop a rehearsal space for their production of Waiting for Godot. Indeed 4 years prior to these rehearsals it also hosted their rehearsals for Endgame. Although these productions were not intended for UK audiences, they did go on to be performed across the world under the title ‘Beckett directs Beckett’. Prior to departing for the Adelaide Arts Festival in 1984, they did however perform Godot for school children in the Hammersmith area in what was considered a final dress rehearsal for this production. The Riverside’s existing facilities and the building that Beckett would have rehearsed in will be replaced under new developments plans. The new Riverside complex is set to reopen in 2017 with facilities that will include three studios, a cinema and screening room, a community & rehearsal area and a much enhanced public entertainment space. 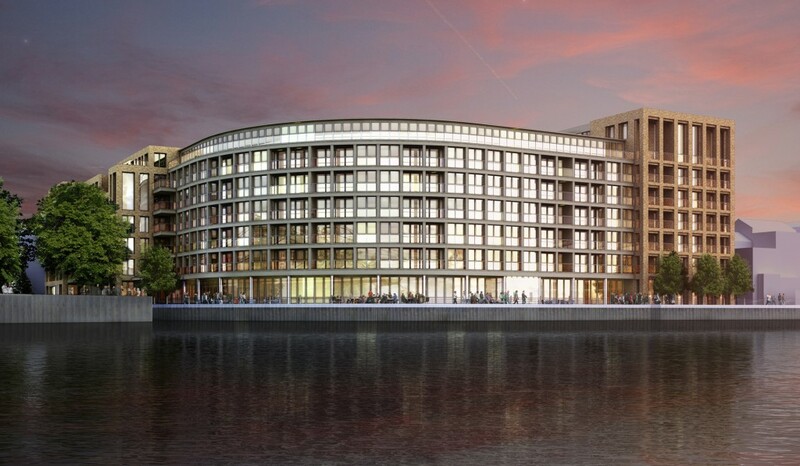 Designs for the new Riverside Studios in 2017. Beckett arrived at the Riverside as part of his work with the San Quentin Drama Workshop which stemmed out of his friendship with a former San Quentin prison inmate and Workshop founder, Rick Cluchey. 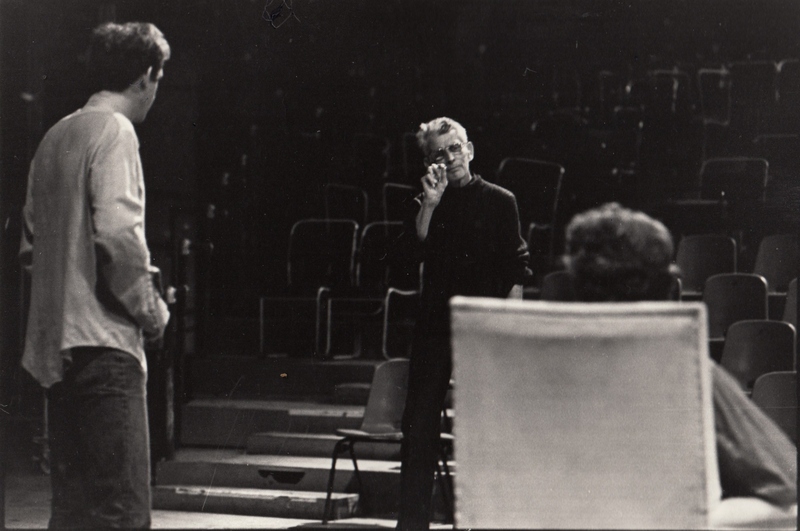 They corresponded frequently over many years about their productions and Cluchey’s persistent suggestions that Beckett view or help out rehearsals paid dividends when Beckett first directed Cluchey in Krapp’s Last Tape in 1977. The following year Beckett helped the group with rehearsals for Endgame in Berlin when he had spare time from his own rehearsals of Spiel (Play) at the Schiller Theater. 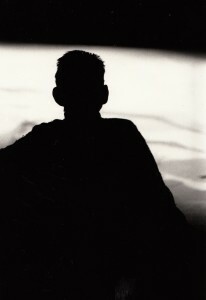 During these periods Beckett clearly developed a rapport with the group, whom he referred to as the ‘San Quentinites’ and when a proposed BBC TV production of Eh Joe featuring Cluchey and Billie Whitelaw failed to materialise, Beckett felt a greater sense of responsibility for the group’s touring plans in 1980. His reluctance to return to Dublin, where the 1980 production of Endgame was set to be staged at the Abbey’s Peacock Theatre meant another rehearsal venue had to be found. As a result, the Riverside Studios became an accommodating alternative theatrical home for Beckett in London. Rehearsing at the Riverside was ‘a happy time for [Beckett]’, where he was in a relaxed mood amongst friends enjoying the creative energy and hospitality shown to him. One of its former employees, Hanif Kureishi, said of the Riverside over these years, ‘For many writers, actors, dancers and artists, Riverside was what a university should be: a place to learn and talk and work and meet your contemporaries. There was no other place like it in London’. Indeed Beckett was one of the many major international artists who worked at the Studios over its lifespan, including Dario Fo, Joan Miro, Antony Gormley and Michael Clark. Other productions of Beckett’s work were staged at the Riverside involving some performers synonymous with his theatre. These included Texts (an adaptation of Texts for Nothing and How It Is) performed by Joseph Chaikin in 1981, Rockaby/Footfalls/Enough with Billie Whitelaw and Max Wall in Krapp’s Last Tape in 1986. Furthermore the Riverside staged the first production of Beckett’s drama after his death, with a production of Krapp’s Last Tape and Catastrophe, featuring David Warrilow and bringing together a number of Beckett’s closest friends in the theatre to his alternative theatrical home. Great to hear from you Rick!